Posted on January 18, 2019 at 3:37 am. Come and be part of a vibrant and creative team, collaborating to meet both the daily work needs of the Ashram and the needs of all the karma yogis who keep the Ashram humming. Karma Yoga Coordinators use organizational skills, intuition, and clear communication to create a harmonious and efficient work atmosphere at the Ashram. 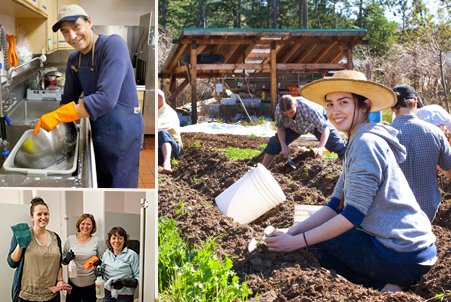 If you’ve been to the Ashram, you know how important this job is, and we’d love your help with it this summer. Lots of great transferable skills to work outside the ashram! The timeframe for this is both immediate and ongoing; one month to six-week commitment is ideal although any length is welcome. The Karma Yoga week is 5 ½ days of service and 1 ½ your own reflection time. A contribution towards your stay is always welcome. Please contact Padmananda (padmananda@yasodhara.org) if you are able to be part of our karma yoga team.